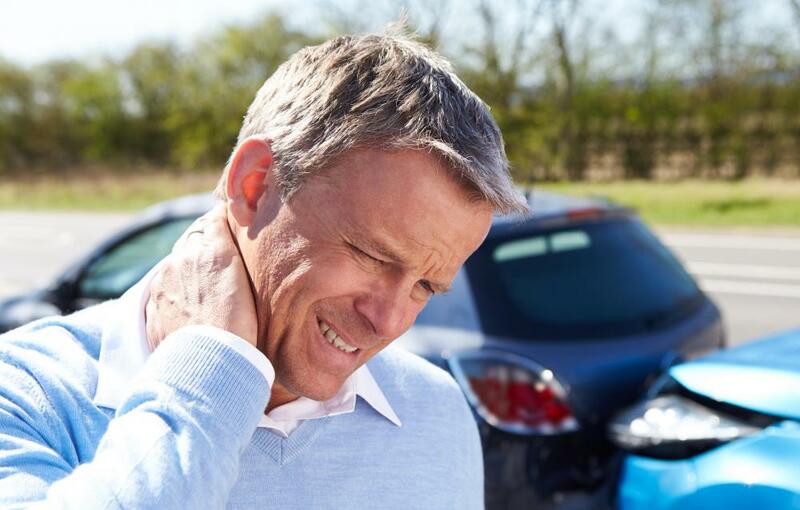 Neck, back and head pain after an automobile accident is a common sign of whiplash. A woman wearing a neck brace for whiplash. 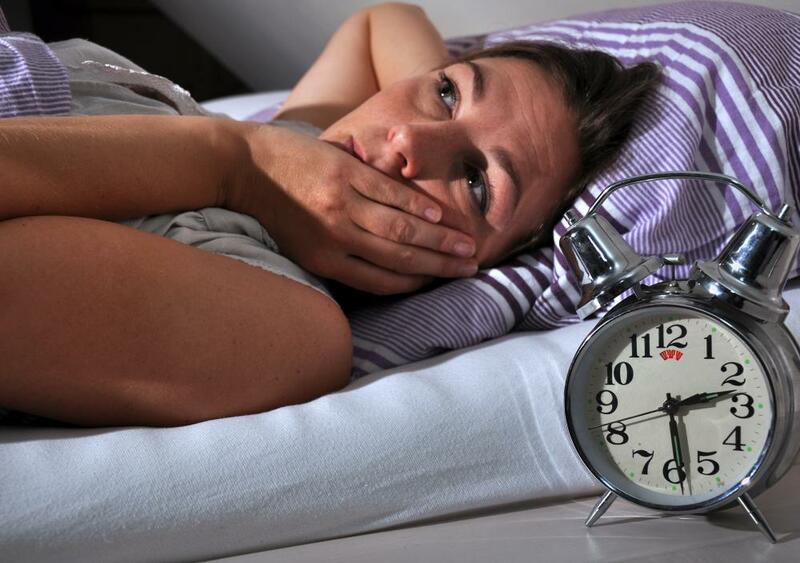 Whiplash might lead to insomnia. Whiplash can cause severe neck pain. Whiplash is a neck injury which occurs when the head is forcefully jerked forward or backward and then quickly jerked in the opposite direction, causing the ligaments and muscles of the neck to become overstretched. It is often caused by the impact of an automobile accident, although it can also result from a collision while playing contact sports, a fall, or a physical assault. The most common signs of whiplash are pains felt in the neck, back, and head. Other signs of whiplash include disorientation, sluggishness, insomnia, and mood disturbances. Often, whiplash gradually subsides on its own, although severe cases may require treatment with prescription drugs or physical therapy. Upper body pains are among the most common signs of whiplash. Often, those with the condition experience neck pain and stiffness. This pain may also spread to the shoulders, the upper back, and even the upper arms. Many people with whiplash also experience frequent headaches. The severity of whiplash-related pain can vary from mild to extreme. Other common signs of whiplash involve changes to the affected individual’s perception, behavior, and mood. The condition can cause blurry vision as well as feelings of vertigo and lightheadedness. It can also lead affected individuals to become disoriented and to have difficulty remembering things. Whiplash may also upset the injured individual’s sleep habits, causing sluggishness during the day and insomnia at night. Further, it can affect the individual’s ability to control her mood. Usually, whiplash subsides on its own over the course of several weeks. Many of those with mild to moderate cases of whiplash find that they are able to manage their symptoms by taking over-the-counter pain medications, such as ibuprofen. Alternately applying ice and heat to the neck can also be helpful, as it discourages swelling and promotes muscle relaxation. 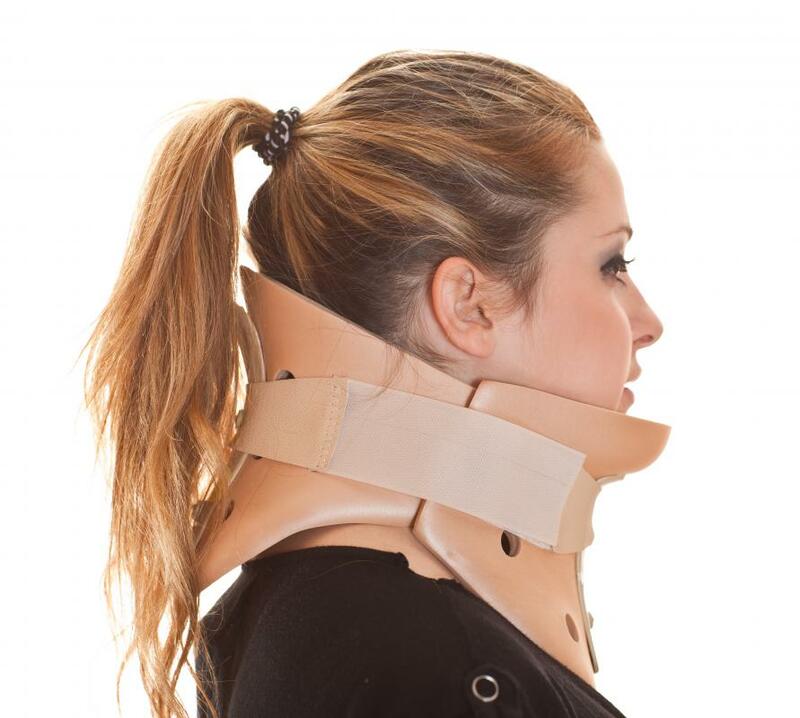 While many doctors formerly recommended temporarily immobilizing the neck with a foam collar, this treatment technique is now widely considered unnecessary. Those whose signs of whiplash are long-lasting or very severe may require medical attention. To ease severe whiplash pain, many physicians recommend prescription-strength painkillers, muscle relaxers, or sometimes both. One or more sessions of physical therapy may also be recommended. During a physical therapy session, a therapist may help the affected individual stretch his neck, and may also teach him exercises which can strengthen his neck muscles in order to speed recovery and reduce the chance of future injuries. How Do I Recover after Whiplash? How Effective is Chiropractic for Whiplash?